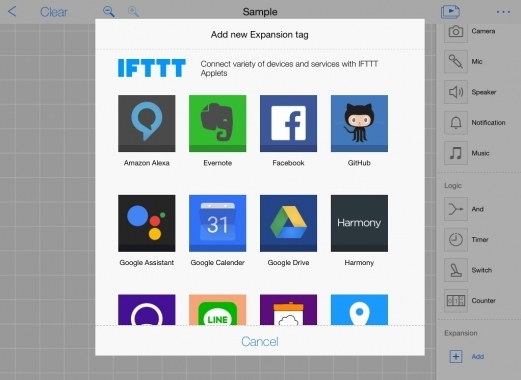 It's easier than ever to connect MESH to other smart devices and web services with new built-in IFTTT Applets. Design sensor recipes that trigger popular gadgets and internet services using customizable IFTTT Applets. Built-in IFTTT integration makes it simple to track sensor data in Google Sheets, send a notification, trigger other smart devices, and much more. 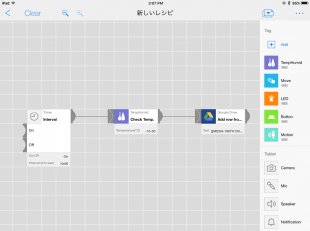 Record data from MESH tags in Google spreadsheets using the new Google Drive IFTTT applet. Data tracking and visualization with MESH sensor. Try connecting MESH Motion to Google Sheets to track sensor data. 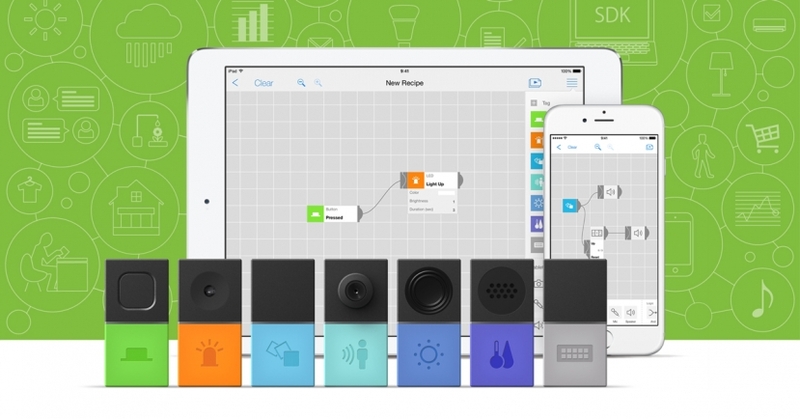 Use one sensor to trigger multiple smart actions. With just one MESH tag you can trigger as many actions as you’d like on gadgets and apps. 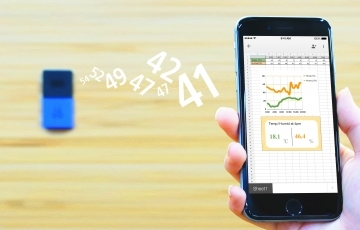 Try using MESH Temperature & Humidity tag to simultaneously monitor your plants, control a NEST Thermostat to keep your home cozy, and record temperature changes to a spreadsheet. Add smart features to DIY projects. With MESH GPIO you can instantly add smart features to DIY gadget projects. Try MESH GPIO with Amazon Alexa for Echo to create a voice-activated plant watering pump that keeps your plants watered when you say a phrase like “Trigger watering." MESH smart sensors make it simple to create and customize smart gadgets. Each smart trigger is a wireless sensor that can automate smart actions like notifications, tracking, and scheduling to make your home (and life) smarter. Build your own DIY gadgets or create custom integrations with popular home automation devices like Philips Hue, SmartThings, LIFX, WeMo, Nest and many more. MESH helps make your ideas come to life. With these tools, our goal is to help you unleash your creativity by adding interactivity to your projects. With unlimited possibilities, MESH is easy to use and can quickly enhance any DIY creation. We hope you enjoy using MESH!